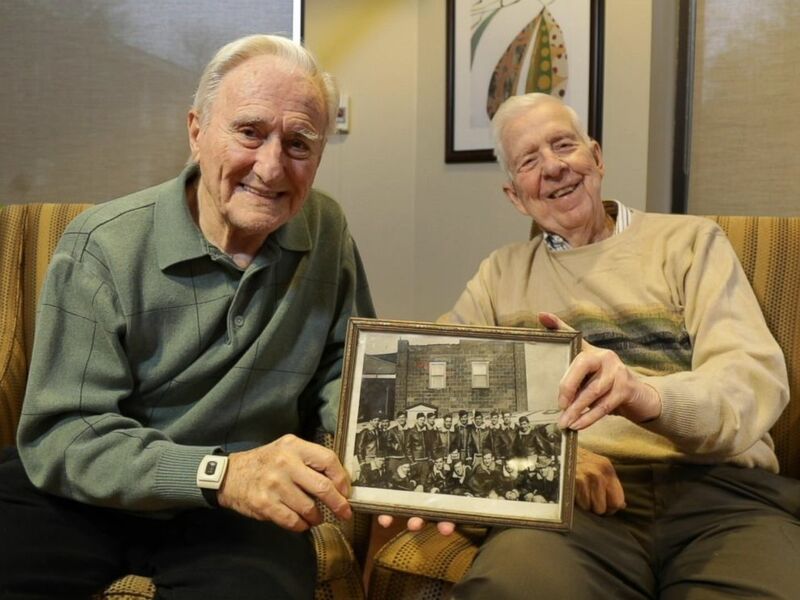 Two World War II veterans who are both from Pittsburgh, born days apart and served side-by-side in the U.S. Air Force, reconnected this year after decades apart when they found out they were living as neighbors in a senior community center. 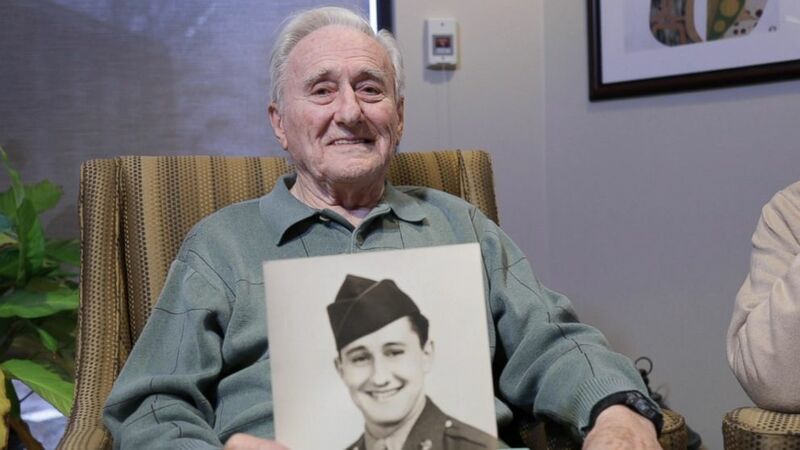 Wes Piros, 95, described his remarkable reunion with fellow vet and friend Bob Adams, also 95, as "incredible," in an interview with "Good Morning America" in honor of Veterans Day this year. 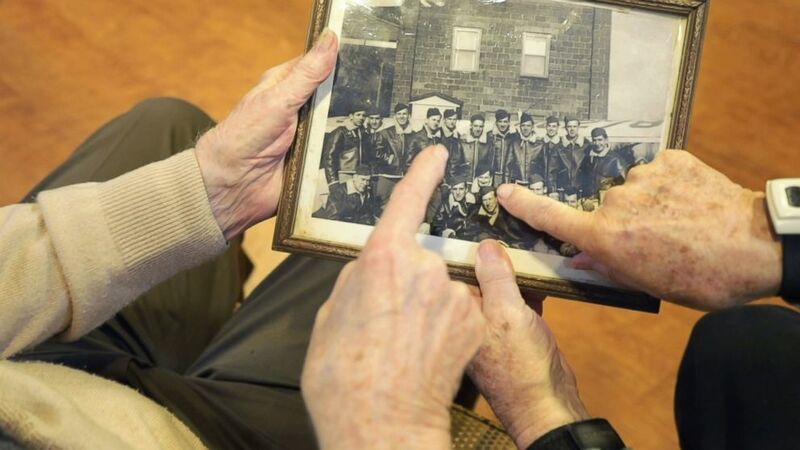 Piros and Adams discovered their connection while chatting over breakfast at the UPMC Senior Community Beatty Point Village, where they both currently live, and Adams pulled out a photo of him and fellow cadets at flight training school at Butler University in Indiana. 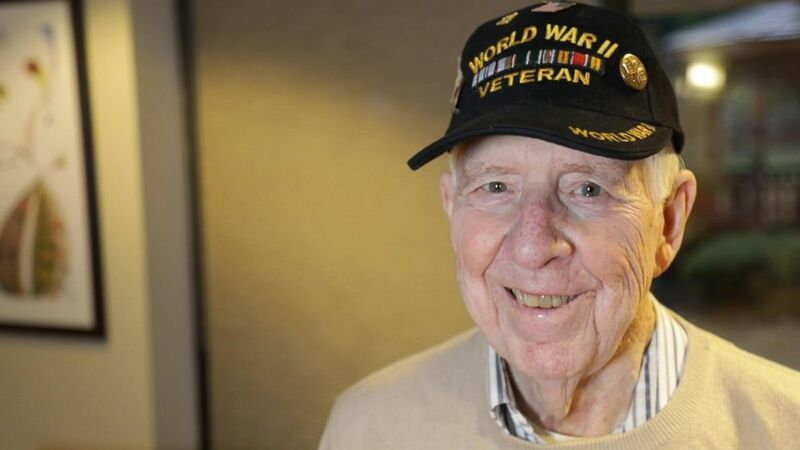 Bob Adams, 95, a U.S. Air Force veteran opens up in an interview with "GMA." "It was unbelievable that after so many years to meet somebody that you were that close to, within arms reach, didn’t really remember, and here you are sitting here at breakfast," Piros said. "I was actually at dinner, and then he puts the picture down in front of me, and I'm like, ‘Wait a minute, that’s me!'" he added. "It was a shock. To realize that we had been together so many years ago, didn’t realize it when we first got to know each other, and all of a sudden here's this picture comes to light, and it's like, 'Wait a minute here's the two of us within arms reach. Amazing.'" Adams added that, "We started talking about where we were and for some reason, I brought in a picture." "It was funny he looked at it and didn't recognize himself in the picture at first," Adams said. Wes Piros, 95, a U.S. Air Force veteran opens up in an interview with "GMA." While the two admit that they don't remember each other from their time together at flight school approximately 75 years ago, they quickly bonded as they recalled their time together and their shared experiences. Piros served in the Air Force from Oct. 1943 to Dec. 1945, and Adams from Feb. 1943 to March 1946. Wes Piros and Bob Adams, two U.S. Air Force vets, share a photo from their time at flight school 75 years ago with "GMA." Both were deployed in Europe, where Adams recalled, "We liberated quite a few concentration camps over in Europe, saw a lot of people ... everything they owned was on their back or in a wheel cart." The two men, who are also both widowers, said they think they were meant to be friends now. "Then we find out we’re within three days of each other in terms of age," Piros said. "How many more coincidences do you have to have?" Wes Piros (left) and Bob Adams (right) are two U.S. Air Force vets who opened up in an interview with "GMA."